Waring School is pleased to welcome Laura Bitler as its new Director of Advancement. 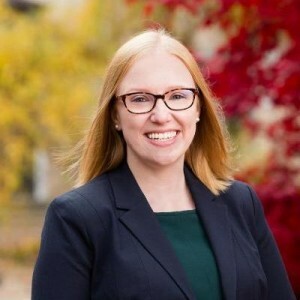 Laura joins Waring School with almost a decade of development experience and has most recently served as Associate Director, Reunion Giving at the Harvard College Fund at Harvard University. Prior to this role, Laura worked at Boston University Metropolitan College as an Alumni/Development Officer. She holds a B.A. in Psychology and Education from Wheaton College in Norton, MA, and a M.Ed. in Education Policy, Planning, and Administration from Boston University. As Director of Advancement, Laura will serve as a key member of the senior leadership team at Waring School. She will work closely with Head of School Tim Bakland and the Board of Trustees, and will provide leadership for the development program as it builds a strong culture of philanthropy throughout the school and community. Founded as a community approach to schooling in 1972 by Philip and Josée Waring, Waring School is situated on 32 acres of land in beautiful Beverly, Massachusetts. The School upholds high academic standards, believing that rigorous study, self-motivation, and high expectations culminate in strong, well-rounded students with a sense of responsibility towards the past, present, and future of their community and the world. Waring continues to set itself apart by a commitment to valuing not just high academic standards, but also risk-taking, self-discovery, and respect.